The Deputy Prime Minister of Mauritius led the laying of foundation stone of the Henrietta Solar Photovoltaic Farm, a 2 MW Solar PV farm project. The Solar PV farm is a project of the Central Electricity Board (Green Energy) Co. Ltd. The Solar PV Farm is located close to the Tamarind Falls Dam. After receiving all necessary permits and clearances from the local authorities, the construction of the Solar PV Farm started in April 2018 and the farm is going to be operational by the end of November 2018. According to the Deputy Prime Minister, Henrietta Solar PV Farm will accelerate the integration of renewable energy into the generation mix and consequently help Government to achieve the target of 35% renewable energy in the energy mix by 2025. He underscored that Government’s aim is also to reduce the country’s dependence on the use of fossil fuel for energy production. It is within this context, that multiple projects are underway to ensure that Mauritius’s energy sector becomes modern, sustainable and dynamic, he indicated, adding that the total number of Solar PV Farms in Mauritius will reach 11 by 2019. The Government is taking measures to alleviate families on the Social Register of Mauritius. A 35% reduction has been granted on their electricity bills. Moreover, the Deputy Prime Minister underlined that, in the context of the International Solar Alliance, Mauritius is working in collaboration with countries such as France and India to develop and expand the production of solar energy. 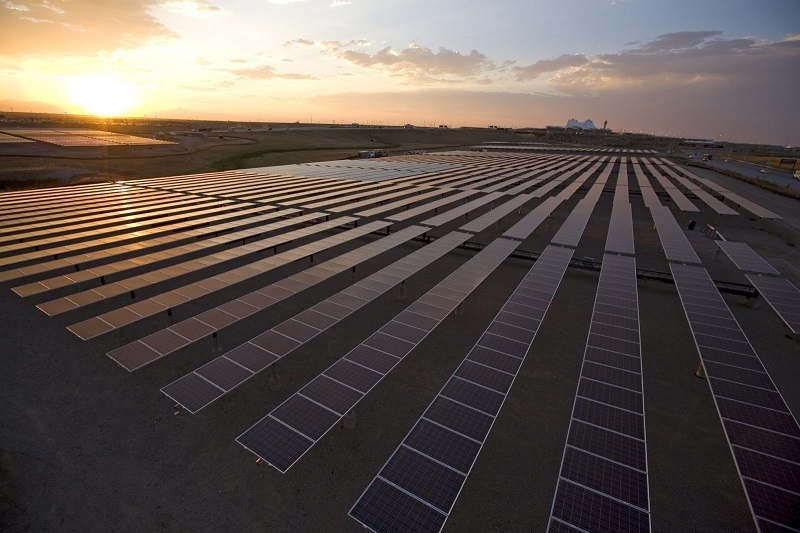 The project comprises the design, supply, installation, testing and commissioning of a 2 MW per grid-tie ground-mounted solar photo voltaic farm with all necessary accessories supporting the structures and interconnection facilities over a surface area of 20,000 square metres. The equipment to be installed consists of 5,900 solar photo voltaic panels, inverters, ground-mounting structures, switch gears and transformers, among others. Upon its completion, the generated power from the 2 MWp Henrietta Solar PV farm will eventually be injected to the nearest 22 kV network. The Farm will generate approximately 3 GWh of renewable energy annually, thus avoiding the equivalent emission of 3,000 tons of carbon dioxide into the atmosphere.